Administrative Law Judge Eileen M. Cohn (ALJ), Office of Administrative Hearings (OAH), State of California, heard this matter in Rosemead, California, on March 16, 17, 18, 19 and 29, 2010. Janeen Steel and Janelle Ureta, Attorneys at Law, of Learning Rights Law Center, represented Petitioner (Student). Student and Student’s father (Father) were present one day of the hearing. On various days, attorneys, staff and volunteers affiliated with Learning Rights Law Center were present. Benjamin Nieberg, Attorney at Law, of GCR LLP represented Respondent, Garvey Elementary School District (District). Barbara Razo, Program Administrator for District, was present each day of hearing and Ted Saulino, Program Specialist for District, was present on certain days. Student filed a Request for Due Process Hearing (complaint) on December 9, 2009. Student filed a Motion to Amend the Complaint on January 22, 2010. Student’s Motion to Amend the Complaint was granted on January 27, 2010, resetting all applicable timelines as of that date. At the due process hearing, oral and documentary evidence was received. At the close of hearing, the matter was continued to April 19, 2010, for the submission of closing briefs. On that day, briefs were filed, the record was closed and the matter was submitted. B. failed to obtain consent from an individual authorized to make educational decisions on behalf of Student. 1. Student resided in Maryvale, a licensed children’s institution (LCI), from April 13, 2009, through February 2010. At the time of her admission to Maryvale, Student was a 13-year-old seventh grade regular education pupil and had not been made eligible for special education. District’s responsibility for providing a public education, including a free and appropriate public education (FAPE), for all pupils residing at Maryvale, including Student, was not disputed. 2. Student had been a dependent child under the jurisdiction of the Superior Court of Los Angeles County (Juvenile Court) from the time she was removed from the home of her biological mother when she was approximately two-and-a-half years old. Student’s childhood was marked by abuse and neglect, first by her biological mother, and then by caretaker-relatives with whom she was placed. 1 At the hearing, Student enlarged this issue through expert testimony to suggest a claim that the assessment was inappropriate because District failed to assess Student in all areas of suspected disability, particularly a specific learning disability (SLD), suggested by one low subtest score in listening comprehension. Although District’s school psychologist capably responded to the testimony of Student’s expert on this point at hearing, this decision does not reach this supplementary issue. ( See 34 C.F.R. § 300.511(d) (2006); Whittaker Corp. v. Execuair Corp. (9th Cir. 1992) 953 F.2d 510, 515.) A possible claim that District failed to assess Student in all areas of suspected disability beyond suspected social-emotional disabilities, was not supported by Student’s complaint, prehearing conference statement, her motion to amend where she expressly represented that no new issues were being raised, or Student’s closing brief. Further, this decision does not reach Student’s broader policy-related claims regarding District’s overall practices with regard to Marysvale residents, and its assignment of assessment responsibilities to Logsdon NPS as it was unnecessary to consider these broader issues to make a determination about parental consent and the appropriateness of the assessment. Finally, Student’s requested remedy of an IEE was made part of the issue at the PHC. However, the requested remedy is equitable only because Student did not make a request for an IEE at public expense as required by statute. (34 C.F.R. § 300.502(b)(1); Ed. Code, § 56329, subd. (b).) For this reason, Student’s request for an IEE is made part of her list of requested remedies and not included with the issue. 2 This decision focuses only on the appropriateness of Dr. Zapata’s clinical evaluation as a psychoeducational evaluation for a suspected social-emotional disability of emotional disturbance. Accordingly, this decision does not address the expert testimony of either Dr. Simun or District’s school psychologist regarding assessments appropriate to other suspected disabilities such as SLD. 3 Student’s heritage is African-American, Hispanic and Caucasian. Consistent with the ban against administering standardized cognitive assessments for African American pupils like Student, Student’s cognitive ability was not measured. As a practice, District does not administer cognitive tests. District’s school psychologist conceded that there are cognitive measures that were not banned by the Department of Education. However, instead of administering cognitive tests, District and its IEP team members generally derived Student’s cognitive ability from her achievement test results. 4 Student also requested that OAH order District to update its procedures manual for the enrollment of children from Maryvale to be consistent with state and federal law. This remedy addresses issues beyond the scope of the Student’s due process hearing and, accordingly, was not addressed in this decision. 3. For five-and-a-half years prior to her admission to Maryvale, Student had been residing with a non-relative legal guardian (Legal Guardian). As part of her court-ordered responsibilities, Legal Guardian was authorized to make educational decisions on Student’s behalf. District was aware of Legal Guardian and knew that she was responsible for making educational decisions on Student’s behalf. Legal Guardian shared her responsibilities with her sister, who was designated by the court as a co-legal guardian. Student’s co-legal guardian was listed on Maryvale’s intake form. However, there is no evidence that Student’s co-legal guardian was involved in any communications with Maryvale or District, or that Maryvale or District was on notice that Student’s co-legal guardian should be included in decisions about Student’s therapeutic or educational needs. 4. Legal Guardian testified. She had been experiencing increasing challenges with Student since the 2007-2008 school year. It was her view that Student did well when she first enrolled in a new school, and would have challenges later on after she became familiar with the teachers and other pupils. Student never got into physical altercations with other pupils, but because she was very bright, was able to manipulate others into disputes. Student’s behaviors became more pronounced after summer 2008 when Student’s body matured due to hormonal changes related to puberty. It was her view that Student became less interested in school after that time. Legal Guardian never spoke to Student’s assessor. There is no evidence whether her views of the significance of Student’s puberty on her emotional status were communicated to the assessor and made part of the assessment. 5. Student was a very bright and capable pupil. At the beginning of the 2008-2009 school year, Student attended a public middle school in another school district. She was enrolled in advanced classes for her core academic subjects of English and history. English and history were taught by the same teacher. She was also enrolled in pre-algebra, integrated science, physical education, home arts and music appreciation. Student’s public school provided a progress report followed by a quarterly, and then a final semester grade report during each semester. Only two grades were reported in Student’s first progress report; a D in pre-algebra, and an F in advanced world history. After her first progress report, Student received a quarterly report which included grades for all her classes. Her grades in pre-algebra and advanced world history had improved. She received a B in pre-algebra and a C in advanced world history. She received an A minus in integrated science, and B grades in advanced English, pre-algebra, and introduction to music. 6. From January 12, 2009, through January 29, 2009, after Student’s first progress report and through the end of the first semester, Student was absent from school because she was hospitalized for psychiatric observation due to suicidal ideations. Student received final passing first semester grades for all her classes, but her final grades were generally lower than her first quarter report. Her grade in advanced English dropped to a B minus from a B, her world history grade dropped from a C minus to a D and her grade for integrated science dropped to a B from an A minus. 7. Student returned to seventh grade at her public middle school after her hospitalization and began her second semester. Student’s grades dropped during the first quarter grading period of the second semester. Student received Fs in advanced English, pre-algebra and home arts. She received a D plus in integrated science and a D minus in advanced world history. Her teachers’ comments in her student grade report for this marking period indicated that she missed assignments and had excessive absences. Her pre-algebra teacher noted that her test scores were low. 8. During her time in seventh grade public school, Student also had a record of behavioral incidents. On one occasion, Student was suspended for writing on a locker door “your locker is now 1409.” On another occasion, she called another pupil names. After her hospitalization in January 2009, Student sought intervention from the school counselor on two occasions to mediate conflicts with her peers. In one incident, she was not invited to a party, and on another occasion she was having difficulty with a male pupil after he rejected her advances. 9. Student’s seventh grade public school guidance counselor, Carla Calderon (Ms. Calderon), testified. Ms. Calderon knew Student very well. She saw Student more frequently than other pupils as Student consistently came in to see her each morning to say “hello” and to converse. Ms. Calderon thought Student was friendly and had a “sweet” nature. She perceived that she came to her each day because she needed some one-on-one interaction and wanted to be known. 10. Ms. Calderon has been a guidance counselor in Student’s middle school for several years and possessed all the necessary qualifications to work as a guidance counselor, including a bachelor of arts in psychology and a masters degree in school psychology with credentials in three areas: school psychology, child welfare, and attendance. In her capacity as a guidance counselor, she addressed academic, social and behavioral issues that arose in the classroom. Teachers, parents and pupils would bring to her attention, academic, social and behavioral issues related to her assigned pupils and generally relied upon her to assist them with keeping her assigned pupils on track academically and behaviorally. Ms. Calderon testified on behalf of Student. However, she responded to questions plainly and simply and without any antagonism to either party. Given her experience as a middle school guidance counselor, her familiarity with Student in her professional capacity, and her demeanor at the hearing, her testimony was persuasive. 11. Ms. Calderon did not view Student’s academic or behavioral record as atypical. She considered her first semester grades to be good and fairly stable over the course of the semester. Only one teacher, Student’s teacher for advanced English and history, contacted Ms. Calderon, with concerns about Student’s academic performance. Student’s challenges as reflected in the teachers’ comments on Student’s grade report were not atypical for a seventh grade pupil. Ms. Calderon indicated that, due to Student’s medical issues, she would have been given the opportunity to make up her work and her final grades would have been higher than her low quarter grades. 12. Student’s last day at her public middle school was March 17, 2009. On that day, Student was removed from Legal Guardian’s home and placed at an all-female residential facility in Long Beach (Long Beach facility) by the Department of Children and Family Services (DCFS). After she was placed at the Long Beach facility, she did not return to her public school. During her stay at the Long Beach facility, she only attended school one day. 13. On April 13, 2009, Student was admitted to Maryvale, a licensed children’s institution, by her clinical social worker (CSW) from DCFS. 14. Maryvale is classified as a Level 12 residential facility for minors aged six through 17. Most minors admitted to a Level 12 residential facility, such as Maryvale, have experienced a long history of childhood mistreatment, are in a very fragile emotional state, and require a comprehensive and intensive mental health treatment program. Maryvale provides an intensive therapeutic environment for minors. It is staffed seven days a week, 24 hours a day, by professionals from various disciplines that are trained to focus on the mental health needs of its residents. 15. After Student was admitted to Maryvale, Legal Guardian communicated with Student’s assigned therapist, and provided background information about Student. Legal Guardian did not communicate to anyone else at Maryvale about Student’s background. 16. Maryvale is not a school and does not retain licensed or credentialed educators to work with its residents. Maryvale is required by its contract with DCFS to enroll new residents in the appropriate school district within three days of admission. As required, within two days after she was admitted to Maryville, Student was enrolled as a pupil with the District. A District school with a seventh grade was located two blocks from Maryvale. Student’s CSW suggested to Maryvale that Student be initially placed on independent home study. At the request of a Maryvale representative, Student executed an independent study contract with the District. It is Maryvale’s practice to enroll its new residents in independent study in order to give them time to adjust to their new living arrangement, and to provide Maryvale time to conduct clinical evaluations, observe its new residents’ behaviors and develop a treatment plan. 17. District’s independent home study contract began on April 14, 2009, and was scheduled to expire on May 18, 2009. The independent home study contract required that 24 school days be devoted to independent study within the specified time period. As part of the independent home study contract, Student was required to work on reading, writing, math, science and social studies in a home study classroom at Maryvale between 8 a.m. and 2 p.m. utilizing a variety of resources including video, audio, books, and computers. Progress would be reported weekly or bi-weekly to the District by a Maryvale administrator. Maryvale personnel monitored the home study classroom. It was unclear what criteria was used to select the material, but Student informed the home study monitor that she had already learned the material and it was much too easy for her. 18. On April 20, 2009, Logsdon School, a non-public school (Logsdon NPS), located adjacent to Maryvale, prepared an assessment plan for Legal Guardian’s consent. Logsdon NPS utilized the form assessment plan used by the District. The assessment plan was limited to an assessment of Student’s current levels of academic performance in the areas of reading, written language, and mathematics (Logsdon’s academic assessment plan). Logsdon is a special education-only campus. 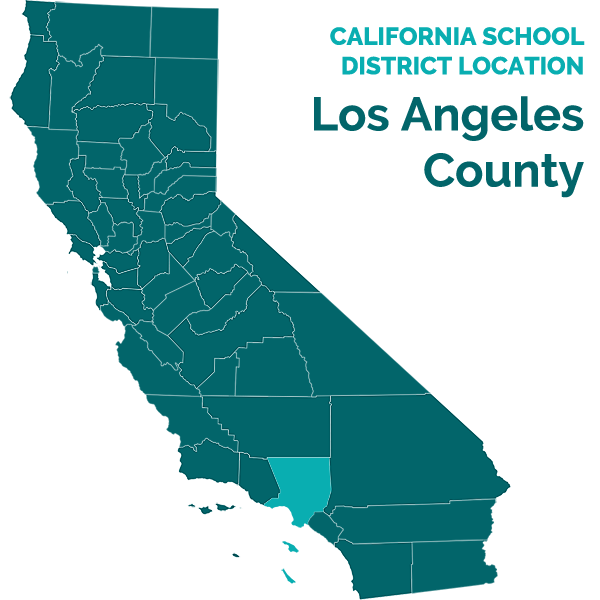 It provides special education placement for many school districts, including District, for pupils that require small classes, a high staff-to-student ratio, and behavioral services. 19. Logsdon NPS’s staff testified that Logsdon’s academic assessment plan was mailed to Legal Guardian but that Legal Guardian never signed and returned the academic assessment plan. Logson NPS’s staff further testified that she contacted Legal Guardian by telephone at which time Legal Guardian verbally consented to Logsdon’s academic assessment plan. It is the practice of staff at Logsdon NPS to memorialize their communications with parents on a document entitled “Parent Contact Log.” The Parent Contact Log did not indicate that the academic assessment plan was discussed with Legal Guardian. Legal Guardian didn’t recall receiving an academic assessment plan or speaking with anyone about an academic assessment plan. Without written documentation verifying Legal Guardian’s consent to Logsdon’s academic assessment plan, the only conclusion that can be reached is that Logsdon NPS did not obtain the Legal Guardian’s consent to proceed with Student’s academic assessment. 20. Other than Logsdon’s academic assessment plan, there was no evidence that an assessment plan was developed for other standardized tests, measurements or observations that would be part of an initial psychoeducational assessment of Student. According to testimony of District’s administrator responsible for Student’s IEP, Ted Saulino (Mr. Saulino), District was not required to obtain the written consent of Legal Guardian before beginning an assessment, but could obtain written consent at a later time. Here, only one assessment plan for academic achievement was prepared by Logsdon NPS, and Legal Guardian was never provided with any assessment plan. 21. Logsdon NPS had a contract with District to provide special education and related services for District pupils. It also provided assessments on behalf of District for pupils enrolled in the NPS. It was not contractually obligated to conduct assessments on behalf of District for pupils prior to their enrollment at Logsdon NPS. However, pursuant to informal guidelines established in collaboration with District, Logsdon and Maryvale, Logsdon conducted academic testing during the intial time period after admission of a new resident at Maryvale, whenever the new resident was being “home schooled” at Maryvale. 22. On April 30, 2009, and May 5, 2009, Maryvale conducted a psychological evaluation of Student. Maryvale’s psychological evaluation of Student was one piece of Maryvale’s comprehensive clinical evaluation. 23. Vincent Castro, Ph.D. (Dr. Castro), a licensed clinical psychologist and Vice President of Programs at Maryvale, testified. He did not assess Student. He testified about Maryvale’s policies and practices regarding its admissions and evaluation process, its obligations to DCFS and school districts, and its privacy obligations to its residents. Dr. Castro refused to testify specifically about Student because it was Maryvale’s practice to obtain authorization from its residents’ Juvenile Court-appointed attorney before it released information about its residents. Despite his refusal to comment specifically about Student without the authorization of her Juvenile Court-appointed attorney, he was in a position at Maryvale to understand its practices and procedures, and demonstrated a depth of understanding about Maryvale’s practices. His demonstrated lack of bias at the hearing also added to the reliability and credibility of his testimony. 24. Maryvale’s clinical evaluations were administered for the purpose of developing a comprehensive mental health treatment plan to be administered during the residents’ tenure at Maryvale. Maryvale’s comprehensive clinical evaluations generally included reports from the residents’ CSW, evaluations prepared by the new residents’ psychiatrists, mental health professionals working with the new residents, including the new residents’ therapists and residential counselor, and a psychological evaluation that generally included psychological and academic testing. In addition, whenever the information was available, the clinical evaluation included consultation with its residents’ prior schools. After the evaluations were prepared, meetings of all the evaluators were held to discuss and prepare comprehensive treatment plans. The clinical evaluations and meetings were not related to the IEP process and Maryvale did not consult with District or Logsdon NPS when it developed or administered its evaluations. Maryvale did not prepare an assessment plan. 26. Maryvale contracted with a licensed clinical psychologist, Rosa Maria Zapata, Psy. D. (Dr. Zapata), to prepare a psychological evaluation of Student. Dr. Zapata possessed all the necessary qualifications to conduct psychological testing and prepare a clinical evaluation of Student. In addition to psychological testing, Dr. Zapata provided direct clinical services for Maryvale’s youngest residents, and in-service training for Maryvale’s residential and clinical staff. 27. Dr. Zapata had never been a school psychologist. She never attended an IEP team meeting. She was not familiar with an assessment plan and had never used one. 29. Dr. Zapata prepared a “Confidential Psycheducational Evaluation” of Student. She maintained that the report was labeled that way at the request of Maryvale. The report contained a sub-heading entitled “Special Education Determination,” and under the section entitled “Recommendations” a special sub-section for “Educational Recommendations” was included. Despite the label, the internal sub-headings, and the recommendations, Dr. Zapata insisted that her evaluations were not designed as special education evaluations. Dr. Zapata insisted that her evaluations were by necessity preliminary clinical evaluations due to the somewhat dire circumstances of the residents at the time of their admission to Maryvale. According to Dr. Zapata, due to the unsteady emotional state of Maryvale’s residents at the time of her evaluations, and the absence of complete records about residents when they arrived, her evaluations assisted in developing the initial treatment plan, but were not intended as an accurate profile of residents after they settled into their new environment and became more emotionally stable. 31. As described in Dr. Zapata’s written clinical evaluation of Student, she relied upon her clinical interview with Student, a review of unspecified records, and the background intake questionnaire from Maryvale. In a section entitled “educational information,” Dr. Zapata referred to her clinical interview with Student. Student testified at the hearing. Student’s testimony about her academic and behavioral challenges at school was consistent with what Dr. Zapata attributed to her interview with Student. In her interview with Student, Dr. Zapata asked about her family, her school history and performance. Student told Dr. Zapata that she had always had good grades but that they had dropped in the last two years from Bs to Ds and Fs. Student also reported difficulty controlling mood swings and aggression toward others. Student told Dr. Zapata that sometimes she talked too much in class, blurted things out without raising her hand and being called on by the teacher, got into arguments, and had problems sitting still. Dr. Zapata did not ask her if she had any friends. At the hearing, Student testified that prior to her hospitalization a good friend had died. In addition to her interview with Student, Dr. Zapata referred to unspecified records which in her view indicated that Student had satisfactory academic achievement, but exhibited disruptive behavior in the classroom. Other than Maryvale’s intake questionnaire, it is unknown what records Dr. Zapata had in her possession at the time of her evaluation. 34. As part of Student’s evaluation, Dr. Zapata also administered a limited number of standardized tests. She administered the Bender Gestalt-II, a standardized measure of visual-motor integration. The Bender-Gestalt II required Student to reproduce 12 geometric figures accurately first by copying, and then from memory. She performed within the average range on the Bender-Gestalt II. She also administered the Wechsler Individual Achievement Test-Second Edition (WIAT-II). The WIAT-II measured academic achievement. Student performed in the average range on overall math skills and written language skills. She presented a diverse set of oral language skills. Her overall oral language score was high average. Within the oral language score there was a discrepancy between her very superior oral expression subtest score where she exceeded 99 percent of the pupils her age, and her low average listening comprehension score where she was within the 25th percentile of pupils her age. 35. Dr. Zapata also used projective measures including: Draw-A-Person Projective Test; House-Tree-Person; Family Kinetic Drawing; and Sentence Completion Test. She used the projective measures to understand Student’s social-emotional functioning. She also noted Student’s “poor planning, low frustration tolerance, and anxiety” during the Bender-Gestalt II test. 37. Dr. Zapata’s failure to take responsibility for the labeling of her report and the failure to disclose within the report its limitations as a special education assessment, undermined her credibility. Dr. Zapata was aware of the distinction between a clinical evaluation and an educational evaluation. She was also aware that her primary objective was to participate with other mental health professionals in the development of a comprehensive treatment plan for Student. As a result, where her testimony conflicted with the testimony of Student’s expert, her testimony was given less weight. 38. On May 8, 2009, Logsdon NPS administered to Student the Woodcock-Johnson, Third Edition (WJ-III), a standardized test of academic achievement. Student was administered tests measuring her academic achievement in written expression, broad written language, broad reading, math calculation skills, and broad math. 39. Student’s overall written language achievement score on the WJ-III was much higher than on the WIAT-II. Written expression measured fluency of production and quality of expression. Her standard score in written expression was within the superior to very superior range. Broad written language measured spelling ability, writing fluency and quality of expression. Her standard score in broad written language was within the superior range. 40. Student measured average in other academic areas of the WJ-III. Broad reading measured reading decoding, reading speed, and comprehension of connected discourse. Her standard broad reading score was in the average range. Math calculation skills measured computational skills and basic math facts. Her standard score was in the average range. Broad math measured mathematics reasoning and problem solving, number facility, and automaticity. Her standard score in broad math was in the average range. Overall, when compared with others in her grade level, the Logsdon NPS assessor concluded that Student’s academic skills, her ability to apply those skills, and her fluency with academic tasks were all within the high average range. When compared to her peers, Student was superior in written expression, and written language, and average in broad reading, mathematics and math calculation skills. 41. On April 27, 2009, Logsdon NPS sent Legal Guardian District’s form notice of an individualized education plan (IEP) meeting. The IEP team meeting was scheduled for 10 a.m., May 18, 2009, at Maryvale. 43. On May 14, 2009, the Logsdon NPS staff member coordinating the IEP team meeting contacted Legal Guardian by telephone regarding the IEP meeting scheduled for May 18, 2009. Legal Guardian informed her that she would like to participate by telephone. The Logsdon NPS staff member memorialized Legal Guardian’s request to appear by telephone in Logsdon NPS’s Parent Contact Log. 44. On the morning of May 18, 2009, just prior to the commencement of the IEP team meeting, District was told by the Logsdon NPS administrator that Legal Guardian did not want to be involved in the IEP team meeting. He also informed District that it was his understanding that Legal Guardian did not want any further involvement with Student. The Logsdon NPS administrator had not spoken directly with Legal Guardian. At the hearing, Legal Guardian confirmed that she did inform someone that she could not participate in the meeting by telephone because she had a conference at work that day which conflicted with the IEP team meeting. She testified that she was asked if she would mind if someone would sit in her position at the IEP. Legal Guardian knew that her sister, Student’s co-legal guardian, was also unavailable, so she approved of someone sitting in her position at the IEP. Legal Guardian testified that she didn’t recall whether she was informed about whether she would be contacted after the IEP to confirm a decision about Student’s IEP; however, she stated that she understood and was “fine” with having another person make decisions about Student’s educational placement. She testified that she knew what occurred at an IEP team meeting because she had been to one before on behalf of Student. She knew that the assessment was part of the IEP. Legal Guardian was the only witness with direct and personal knowledge of her telephone conversation. Accordingly, the testimony of Legal Guardian about her conversation regarding her unavailability to attend the IEP telephonically was given deference. 45. No evidence was presented of any discussion with Legal Guardian about withdrawing her request for Student to attend the IEP. Prior to the IEP team meeting, Student also notified her therapist that she wanted to attend the IEP team meeting and the therapist informed her that she could go to the IEP team meeting. Student told her therapist that she wanted to tell the IEP team that she needed to go to public school because she needed more challenging, grade-level work than she had been given in independent study, which was already work she had learned. The IEP team did not include Student in the IEP team meeting. 46. Mr. Saulino, District administrator, determined that it was important to go forward with the IEP as scheduled so that Student’s assessment could be reviewed and she could be placed. Mr. Saulino testified compassionately about the pupils from Maryvale. He clearly cared about them and believed he was helping them. However, the weight of his testimony was negatively impacted by his allegiance to certain District policies and practices which were in direct conflict with special education procedures. 47. Mr. Saulino appointed Maureen Bateman (Ms. Bateman) as Student’s surrogate. Ms. Bateman was at Maryvale attending an IEP team meeting for another District pupil residing at Maryvale, when she was asked to attend Student’s IEP as her surrogate. Maureen Bateman was a qualified and experienced surrogate. She was a former District teacher, gifted and talented education (GATE)coordinator, assistant principal, and administrator. At the time she was appointed as Student’s surrogate, she had been a surrogate for three years. She received all the necessary training to be a surrogate. She regularly served as a surrogate for Maryvale residents who did not have anyone responsible for making educational decisions on their behalf. She usually attended two or three IEP team meetings a month. Each IEP team meeting lasted about 45 minutes, and Student’s IEP was no different. 48. Both Mr. Saulino and Ms. Bateman described the circumstances of her appointment as Student’s surrogate as an “emergency.” At the time Ms. Bateman was appointed, she knew that Student had a legal guardian and that her legal guardian held educational rights. Ms. Bateman understood that she was Student’s surrogate for the IEP only because Legal Guardian could not attend the meeting. Ms. Bateman was not told anything else about Legal Guardian. 49. Ms. Bateman never spoke with Student. She did not make any attempt to speak with Student prior to the IEP team meeting, or at anytime afterward. Ms. Bateman was not aware that Legal Guardian and Student requested that Student attend the meeting. Ms. Bateman had spoken to other pupils and residents at Maryvale prior to their IEP team meetings, but she did not consider these conversations productive because pupils generally wanted to exact a promise from her that she would help place them in a District general education campus, whether or not the placement was appropriate for them. She conceded if she had met with Student before the meeting, she would have been able to make her interests known to the IEP team, although she maintained that any information about Student’s interests was most likely already available to team members. 50. On May 18, 2009, the IEP team met. The IEP team was comprised of: Mr. Saulino, the District administrator, District’s school psychologist, Ms. Bateman, Logsdon NPS’s principal, a District general education teacher, a special education teacher from Logsdon NPS, a behavior specialist, Student’s Maryvale therapist, and an educational therapist that was assigned to work with Maryvale’s pupils. 51. District’s school psychologist had been with the District for 15 years and had the educational background and the necessary credentials for his position. He testified candidly about the assessment process and his contribution to the IEP team. District had not directed its school psychologist to develop an assessment plan for Student or to conduct a psychoeducational assessment of Student. District’s school psychologist had never conducted a psychoeducational assessment for any pupil that resided at Maryvale. District’s school psychologist understood that, as the school psychologist member of Student’s IEP team, his role was to explain the results of Dr. Zapata’s clinical assessment to the IEP team, and assist the IEP team in reaching a determination of eligibility and placement for Student. District’s school psychologist received the assessment about a week before the IEP team meeting, but he did not consult with Dr. Zapata, or conduct his own interviews, observations, or records review prior to the IEP team meeting. 52. District’s school psychologist testified that a multi-disciplinary team was assembled at the IEP to make a determination of Student’s eligibility. In addition to District’s school psychologist, Student’s Maryvale therapist was available to discuss her observations and information about Student. The IEP team referred to the assessment and considered the observations of Student’s Maryvale therapist. Student’s educational records were available at the IEP team in a notebook for review. From the testimony of District’s school psychologist, it appeared that the IEP team reviewed the educational records to verify that Student’s grades had dropped, and that she had behavior incidents. District’s school psychologist was confident that the assessment supplemented by input from other team members, particularly Student’s Maryvale therapist, and Student’s school records, provided a sound foundation for the District’s determination of Student’s eligibility for special education as a pupil with an emotional disturbance. 53. The results of Logsdon NPS’s academic assessment were presented for the first time at the IEP team meeting. The Logsdon NPS’s special education teacher reviewed the WJ-III results and, based on Student’s performance in the WJ-III, the Logsdon NPS’s special education teacher presented goals and objectives for the team’s approval. 54. Ms. Bateman participated at the IEP team meeting, mainly in the development of Student’s academic goals to make sure the goals reflected her more advanced academic ability. Due to Ms. Bateman’s last-minute assignment as Student’s surrogate, she had not had the opportunity to review the assessment prior to the meeting, as she usually does in her surrogacy role for other pupils, or any other information about Student. Ms. Bateman generally deferred to the other members of the IEP team on eligibility and placement issues, and she did so here. She has never disagreed with District’s eligibility or placement recommendations; however, she insisted that she was independent minded and would speak up if she thought Student should be placed somewhere else. 55. The IEP team made Student eligible for special education under the category of emotional disturbance and placed her at Logsdon NPS. In the section requiring justification for Student’s placement recommendation, the IEP team referred to her social-emotional issues as the principal justification for its placement decision. In addition to goals and objectives, the IEP team developed a behavior support plan for Student. The IEP team also referred Student to the Department of Mental Health for a mental health assessment. 56. Ms. Bateman signed her consent in the place reserved for Legal Guardian. Even though she consented in writing to the IEP, it was Ms. Bateman’s understanding that Legal Guardian would be sent the IEP for her approval and signature. Ms. Bateman understood that she would not continue as Student’s surrogate after the meeting. Ms. Bateman did not retain a copy of the IEP or perform any other act as Student’s surrogate after the IEP team meeting. 57. District never sent the IEP document to Legal Guardian. Legal Guardian never reviewed the IEP or executed her consent. Legal Guardian testified that at some point she was told by the therapist that the Student was placed at Logsdon NPS. She thought the placement was similar to what she had since she arrived at Marysvale and was fine with it. Her main concern was that Student was being helped. 58. At the hearing, Legal Guardian clearly recognized that she remained responsible for Student until the Juvenile Court terminated her guardianship. Legal Guardian held educational rights until June 18, 2009, at which time Student’s biological father (Father), was designated by the Juvenile Court as the individual responsible for making educational decisions on Student’s behalf. 59. Student attended Logsdon NPS from May 19, 2010, until mid-February 2010. She achieved top academic grades at Logsdon NPS. No evidence was presented that the material she was provided was below grade-level or below her academic ability. Student withdrew from Logsdon NPS at the time she left Maryvale to live with her father in another school district. Father enrolled Student in general education at a public school campus. No evidence was presented that Student received special education or related services at her new school. Student maintained that she was doing well at her new school. No other evidence about Student’s current educational program was submitted. Moreover, application by District’s school psychologist of Student’s WIAT-II and WJ-III achievement test scores to estimate Student’s cognitive ability, assessments which were not validated for that purpose, raised questions regarding the rigor with which District’s school psychologist reviewed Dr. Zapata’s measurements. 3 Finally, as established by their respective testimonies, Dr. Simun had more experience in conducting assessments for the suspected disability of emotional disturbance than District’s school psychologist. 62. Dr. Zapata observed Student but did not use scientifically valid observation measurements. Dr. Zapata’s observations of Student were limited to her interview with Student and her observation of her behavior during the administration of the Bender–Gestalt II and the projective tests. According to Dr. Simun, scientifically-valid observation measurements of Student’s social-emotional behavior were crucial to an assessment for special education eligibility under the category of emotional disturbance, but were not utilized in Dr. Zapata’s clinical evaluation. Dr. Simun explained that psychology is the science of behavior, and similar to other sciences, the validity of the findings made in psychological assessments are measured by the degree to which the data collected can be cross-validated with data from a variety of sources. Standardized assessment tools compare Student’s behavior to that of her same-aged peers, and are a reliable way to measure whether her behavior is within the normal range of behavior for her age. 63. Dr. Simun provided examples of scientifically-valid observation measurements commonly used in assessments of pupils’ social-emotional status. Commonly-used standard measures include the Woodcock Johnson standardized observation system and the Behavior Assessment System for Children, Second Edition (BASC-2) rating scales. These standardized observation measurements should have been completed by Student’s teachers from her previous public school placement. Ideally, each academic teacher would have completed the observation assessment or rating scale; at a minimum, the standardized measure would have been completed by the teacher of the academic subject where Student excelled and the teacher of the academic subject where Student struggled. In addition, Legal Guardian should have been provided with a standardized observation measurement. 64. Dr. Zapata’s interview with Student was useful, but it was subject to her interpretation, and was not a standardized measurement. Dr. Simun maintained that data obtained from the interview should have supplemented the standardized measurements. In particular, Student should have been provided with a standardized self-reporting rating scale to complete such as the BASC-2 self-report. Student’s BASC-2 self-report of her social, emotional and behavioral status, would have provided a standardized measurement of how Student viewed herself socially and emotionally, in a variety of contexts, compared with her same-aged peers. From a self-reporting rating scale, Dr. Zapata could have identified if, and where, Student fell outside the norm. In addition to Student’s self-report, Dr. Zapata could have utilized the “Roberts” test, a well-accepted standardized measurement, which includes a detailed scoring guide to assess Student’s resolutions to hypothetical social situations. 65. Dr. Zapata’s projective tests which required the test-taker to draw or fill-in pictures, or complete sentences, were not standardized or scientifically-valid social-emotional measurements. None of these measures constitute scientifically-valid measures to determine eligibility for special education under the category of emotional disturbance. None of these tests utilized standardized test administration procedures, or standardized scoring methods to compare the Student to her same-aged peers. As a result, these tests were not tests, but techniques, which did not provide scientifically-valid measures of determining whether Student’s emotional status was within normal or abnormal ranges, as compared with her same-aged peers. 66. According to Dr. Simun, the built-in deficiencies to these techniques were compounded by Dr. Zapata’s failure to disclose what directions she gave to Student. The Draw-A-Person Projective Test has been used by psychologists to elicit the social-emotional status of very young children, or as an “ice breaker” to make children comfortable with the assessor. It has had some scientific acceptance in measuring cognitive ability in very young children, but had not been validated as a measurement of the social-emotional status of pupils like Student. The House-Tree-Person and the the Family Kinetic Drawing techniques were equally deficient. The Sentence Completion Test required Student to complete a sentence stem such as “I am really afraid of (blank)” with the rationale that the completed sentence provides clues of Student’s emotional and personality status. Although some questions were published, psychologists often created their own questions, and Dr. Zapata did not disclose which sentences she used. Like the other techniques, there was no scoring method to the Sentence Completion Test and and the technique was not standardized. 67. Dr. Zapata’s failure to fully examine Student’s ability to function with typical peers was also a fatal defect of her clinical evaluation. Maryvale’s residents were not as a group typical. Dr. Simun testified that Dr. Zapata’s reference to Student’s academic record and classroom behaviors was inadequate to understand Student’s social-emotional functioning with typical peers in a school setting, and to support a finding of special education eligibility under the category of emotional disturbance. Dr. Zapata did reference Student’s declining academic grades and behavioral issues, but did not examine the cause of any decline in grades, or the relative significance of behaviors which manifest in the school setting. Dr. Zapata did not interview her teachers or her counselor to determine her functioning in the classroom, and the significance, if any, of incidents recorded in her school records. Dr. Zapata did not find out whether Student had at least one friend which, according to Dr. Simun, would have provided information about her ability to function with typical peers. 68. Dr. Simun reviewed Student’s previous grade reports and from the reports alone, without consultation with Student’s previous teachers or counselor, she could not reach any conclusions about Student’s social or emotional status. Dr. Simun reviewed the attendance record for 2008-2009. Student’s attendance was excellent until her hospitalization in January 2009. Student returned to public school after the hospitalization and left the school in March 2009. Her absences would have affected her grades. Dr. Simun reviewed the discipline record from Student’s previous public school beginning in November 2008. In her opinion, the discipline incidents were very minor and the comments reflected typical behavior of a middle school pupil, with the exception of the hospitalization. On one occasion, Student was suspended for writing on a locker door “your locker is now 1409.” On another occasion, she called another pupil names. After her hospitalization in January 2009, Student’s discipline record indicates that she sought intervention from the counselor on two occasions where she was having conflicts with her peers. Dr. Simun thought that was a good sign that Student was taking initiative to resolve her disputes through conflict resolution with the school counselor. On one occasion, she was not invited to a party, and on another occasion she was having difficulty with a male pupil when they exchanged threats after he rejected her advances. On both occasions, she requested the intervention of the school counselor to conduct conflict mediations. Interviews with her teachers and counselors would have been important to fully understand the discipline record. It would have been important to know whether she had at least one friend. 69. Dr. Simun maintained that, as part of an initial psychoeducational assessment, an assessment of Student’s academic ability should not be restricted to the standardized achievement tests like the WIAT-II. To understand Student’s ability, it would be important to review her performance on school-wide performance tests, and conduct curriculum-based assessments by also interviewing Student’s teachers or having them complete a brief questionnaire. 70. Dr. Simun also noted that absent from Dr. Zapata’s clinical evaluation was a complete medical and diagnostic history of Student. Dr. Zapata failed to fully and specifically describe the medical information she relied upon. Student was prescribed medication and Dr. Zapata did not detail the purpose of the medication. Student was hospitalized for suicidal ideations, but no explanation of the basis for the ideations was provided. According to Dr. Simun, it was “crucial” to know any medical or psychological diagnosis to understand whether Student’s behaviors were the result of a long-term condition that would adversely affect her access to education. 71. Dr. Simun also commented on Logsdon NPS’s administration of the WJ-III achievement test. She did not see a rationale for Lodgdon NPS’s administration of the WJ-III achievement test as part of an initial assessment because Dr. Zapata had administered the WIAT-II achievement test. It was not standard practice to conduct two achievement tests. 2. Student requests a determination that District’s initial assessment of Student and determination of eligibility for special education was invalid because it was conducted without an assessment plan and without the consent of an individual that was authorized to make educational decisions on behalf of Student. Student contends that District failed to obtain informed consent from Legal Guardian to make her eligible for special education by failing to make reasonable efforts to secure her attendance at the IEP team meeting and by improperly appointing a surrogate to take her place at the IEP team meeting. Further, Student contends that the surrogate appointed didn’t fulfill her duty as a surrogate when she failed to meet the Student as required. Student contends that District’s procedural violations significantly infringed upon Legal Guardian’s right to participate in the IEP process, and in doing so, denied Student a FAPE. As a consequence of District’s procedural violations, Student requests a finding that Student’s initial assessment and determination of eligibility for special education were invalid. 3. District maintains that it obtained the required consent to conduct the initial assessment from Legal Guardian, the individual authorized to make educational decisions for Student. In its closing brief, District concedes that Legal Guardian never signed an assessment plan. However, District maintains that Legal Guardian verbally approved of the assessment plan prepared by Logsdon NPS in the area of academic achievement. In addition, District posits that Legal Guardian impliedly consented to Dr. Zapata’s assessment when she agreed to having the surrogate replace her at the IEP team meeting because she understood from her past experience as a participant in an IEP team meeting for Student that an assessment would be reviewed. Furthermore, District maintains that it wasn’t required to obtain the consent of Legal Guardian for the assessment conducted by Maryvale because parental consent was not required to review existing data and Dr. Zapata’s assessment constituted existing data reviewed by the IEP team in making its determination of eligibility. 4. District further maintains that it obtained the required consent of the individual authorized to make educational decisions for Student, to consent to the IEP team’s determination that Student was eligible for special education, and to consent to the May 18, 2009 IEP. District maintains that Legal Guardian consented to the appointment of a surrogate at the time of the IEP team meeting to make educational decisions on behalf of Student in her place. Further, District maintains that at the time of the IEP team meeting, it was District’s duty to appoint a surrogate because the appointment was necessary. Overall, District argues that any procedural violations that did occur did not result in the denial of a FAPE because Legal Guardian indicated that she understood what would happen at the IEP and did not object. Finally, District suggests that Student’s allegations of procedural violations arising from the absence of parental participation is without merit, because the allegations were raised by Father, not Legal Guardian, the educational rights holder during the relevant time period. District fails to provide any supporting authority for the proposition that only Legal Guardian may raise this argument. 5. For the reasons set forth below, Student has met her burden of proof that District’s initial assessment, determination of eligibility for special education, and the May 18, 2009 IEP were developed without the consent of the individual authorized to make educational decisions for Student and without parental participation. As a consequence, Student’s initial assessment, determination of eligibility, and IEP were invalid. (5) Surrogate parents appointed pursuant to Section 7579.5 or 7579.6 of the Government Code, and in accordance with Section 300.519 of Title 34 of the Code of Federal Regulations and Section 1439(a)(5) of Title 20 of the United States. 27. Student also met her burden of proof that District’s determination of eligibility was invalid on the separate and independent ground that District failed to secure informed consent of Legal Guardian to the IEP, including its determination that Student was eligible for special education as a pupil with an emotional disturbance. 35. Alternatively, Student contends that she was inappropriately identified as a pupil with emotional disturbance because Dr. Zapata’s clinical evaluation was insufficient to determine elgibility for special education on the basis of emotional disturbance. District maintains Dr. Zapata’s assessment was sufficient because it included a range of standardized measures and observations, and because it was supplemented by input from a multi-disciplinary team which included District’s school psychologist and Student’s Maryvale therapist. As set forth below, Student met her burden of proof that Dr. Zapata’s assessment was inappropriate as a psychoeducational assessment for the suspected disability of emotional disturbance. 39. In addition to the reasons set forth in Issue One, above, Dr. Zapata’s assessment failed as an initial psychoeducational assessment. 46. Student requested that OAH order District to: expunge the clinical evaluation of Dr. Rosa Maria Zapata from Student’s educational record; expunge from Student’s educational record its identification of her as a student with emotional disturbance; notify Student’s current school district that Student’s educational records have been expunged; fund a comprehensive independent assessment of Student by a qualified assessor of Student’s choosing; and as compensation for its failure to provide parental participation, provide 50 hours of pro-social activity of Student’s choosing, and fund 96 hours of specialized academic tutoring for gifted pupils. 4 District maintains that it provided Student a FAPE, and denies that Student requires remediation. District further questions Student’s request for an independent assessment as inconsistent with Student’s allegation that Student should not have been made eligible for special education. The remedies set forth herein are based upon a consideration of the above Legal Conclusions and Factual Findings. 49. Student’s request that District fund an independent assessment does not have a rational relationship to Student’s claims and is inappropriate under the unique circumstances of this case. Student contends that District’s designation of Student as a pupil eligible for special education as emotionally disturbed was invalid. Student requested that her records be expunged. Student did not present any evidence that she is currently enrolled in a special education program or requires special education services. On the contrary, Student is currently participating as a general education pupil in another school district. When and if Father believes that Student requires special education or related services, he can initiate a referral for an initial assessment with the new school district. 50. Student’s request that her record be expunged is reasonable and justified by the evidence. Without a mechanism to strike from Student’s records District’s invalid identification of Student as a pupil with emotional disturbance, this label will follow her throughout her education. As recognized by the IDEA, the inappropriate identification of pupils, like Student, has negative consequences. The determination of Student’s eligibility for special education was part of an invalid IEP. For these reasons, Dr. Zapata’s clinical evaluation, District’s May 18, 2009 IEP, and any documents containing references to Student as a special education pupil or a pupil with emotional disturbance should be expunged from Student’s educational record. Clearly, Maryvale and DCFS must follow their distinct record-keeping procedures. However, District must not retain in its records any reference to Dr. Zapata’s clinical evaluation, Student’s eligibility for special education, or the May 18, 2009 IEP. Student also conclusively established that District and Logsdon NPS had an agency relationship, by contract and by collaboration. Based upon their agency relationship, District is ordered to expunge any Student records maintained by Logsdon NPS. As further protection against disclosure of Student’s invalid eligibility determination, District must also ensure that it collects and expunges Student’s educational records held by any other of its agents, including its personnel or contractors. 51. Finally, Student failed to meet her burden of providing evidence that justifies an award of compensatory education of any nature. Student challenged her eligibility for special education. A request for compensatory education presumes an eligibility for special education. Further, Student provided insufficient evidence that Student was denied grade-level education at Logsdon NPS, or education befitting a pupil with her advanced academic capabilities. Student failed to provide any evidence that her time at Logsdon NPS resulted in a social skills deficit, or that she required social skills training. At the time of the hearing, Student had just transferred to a general education program in another school district. She testified that she was happy at her new school. She did not indicate that the material was too difficult, or that she had trouble adjusting socially. For these reasons, Student’s request for compensatory education is denied. 1. Dr. Zapata’s clinical evaluation was invalid as an initial psychoeducational assessment of Student for special education. 2. Student’s eligibility for special education and identification as a pupil with emotional disturbance was invalid. 3. Student’s IEP of May 18, 2009 was invalid. 4. District shall expunge from Student’s educational records, Student’s IEP of May 18, 2009, Dr. Zapata’s clinical evaluation, and Student’s identification as a pupil with emotional disturbance. District’s expungement of Student’s educational records as set forth herein also includes all references to Dr. Zapata’s clinical evaluation and Student’s identification as a pupil with emotional disturbance. District’s obligations under this paragraph extend to Student’s educational records which are physically located at District and Student’s educational records which are maintained by its agents, including, but not exclusive to, Student’s educational records maintained by Lodgsdon NPS, District’s employees, consultants and contractors. 5. District shall notify Student’s current school district and Student through her counsel that Student’s educational records, including Student’s IEP of May 18, 2009, Dr. Zapata’s clinical evaluation, and Student’s identification as a pupil with emotional disturbance, have been expunged from Student’s educational records in compliance with this Decision and Order thereon. 6. District shall comply with this Order immediately. Pursuant to Education Code section 56507, subdivision (d), the hearing decision must indicate the extent to which each party has prevailed on each issue heard and decided. Here, Student was the prevailing party against District on both issues presented.